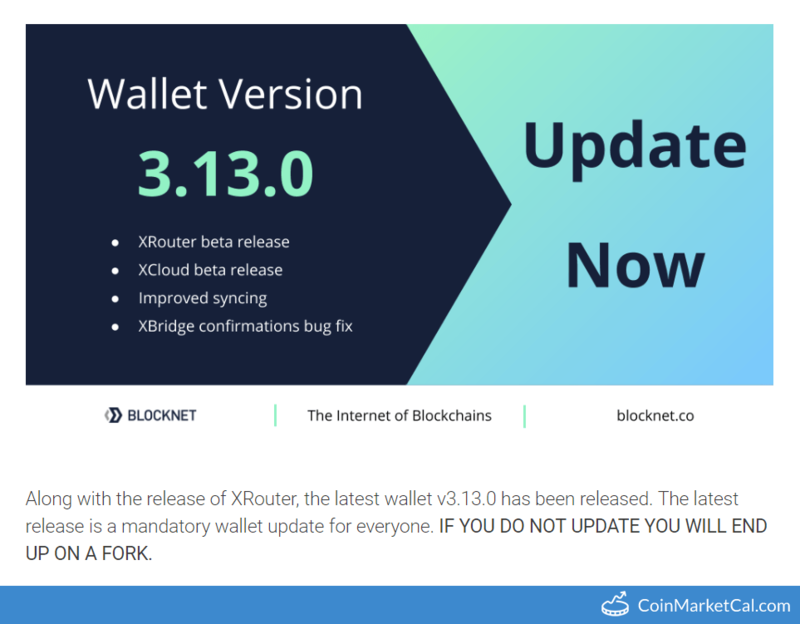 3rd Annual Digital Healthcare Conference from April 23rd - 25th at the One Farrer Hotel in Singapore. 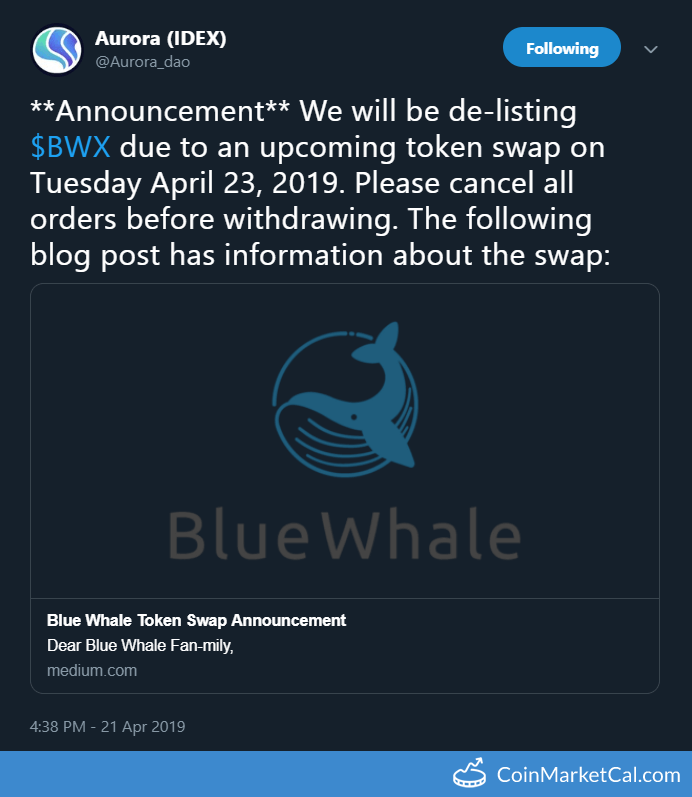 "We will be de-listing BWX due to an upcoming token swap on Tuesday April 23, 2019. 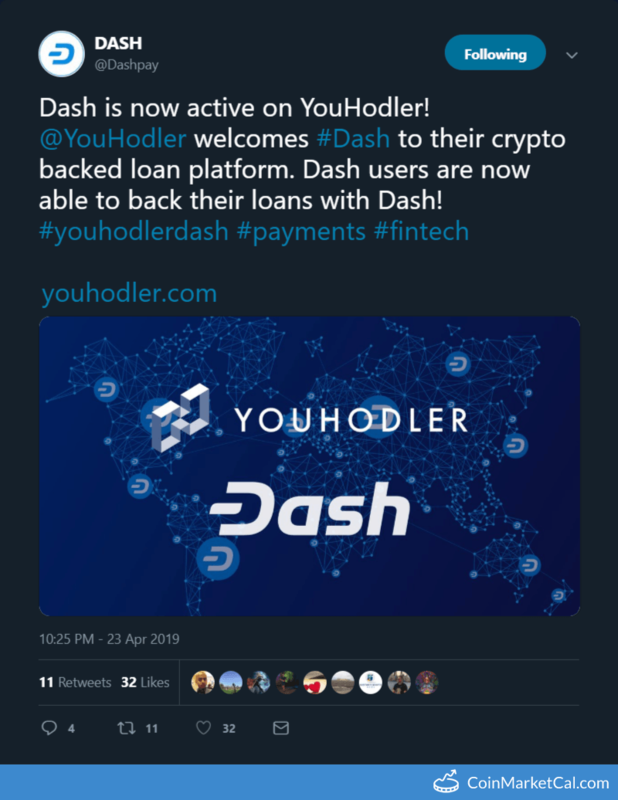 Please cancel all orders before withdrawing." 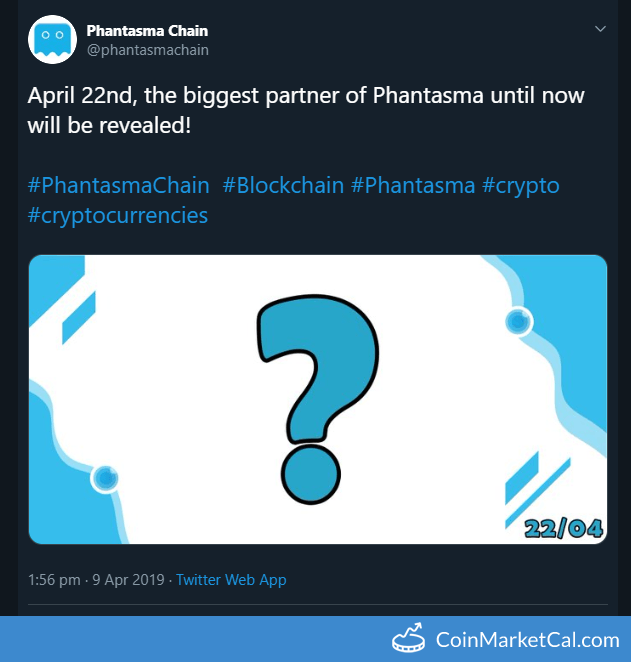 DAPS trading competition on BitMart from April 23rd - May 7th. 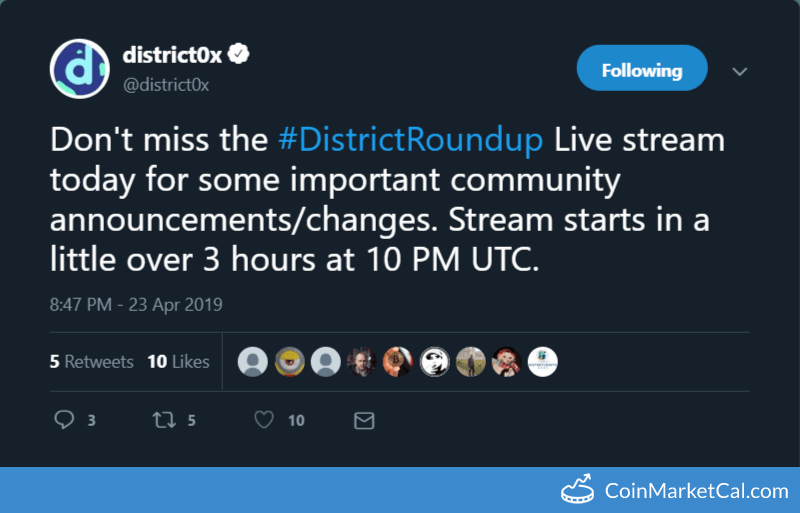 "Don't miss the #DistrictRoundup Live stream today for some important community announcements/changes." 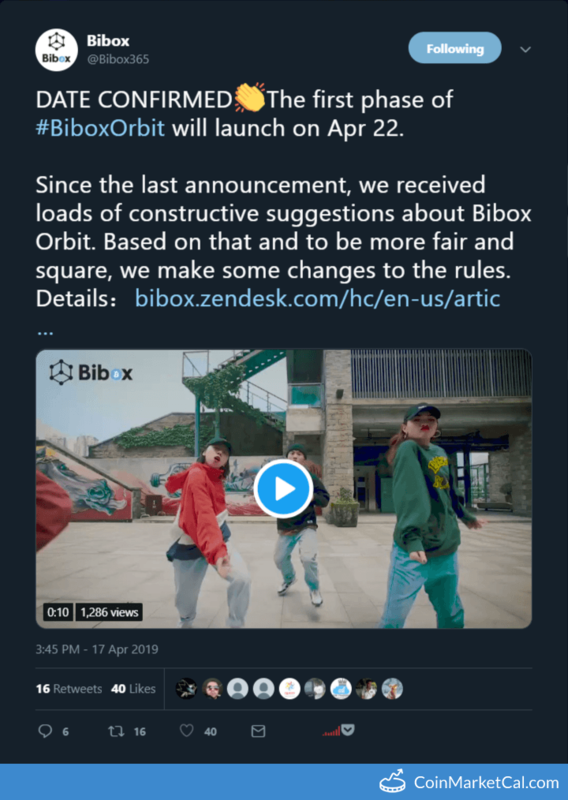 "Today, we’ll be discussing some of the areas of development and news of what has been going on with Simmitri." 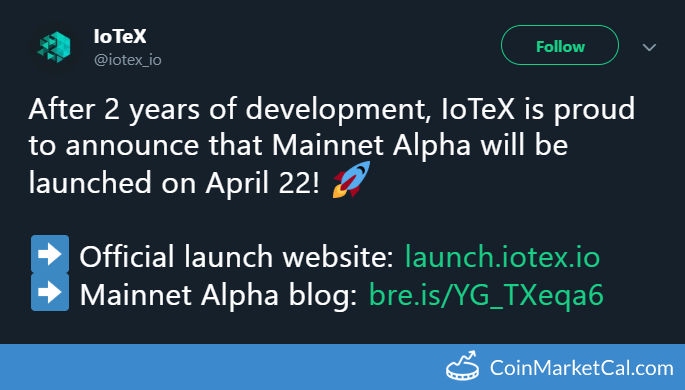 "After 2 years of development, we are proud to announce that IoTeX Mainnet Alpha will be launched on April 22." 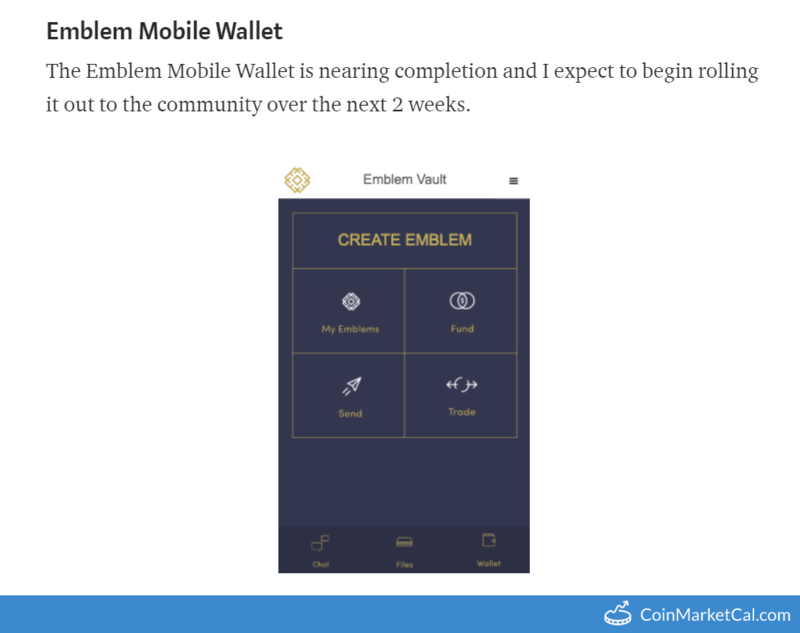 "The Emblem Mobile Wallet is nearing completion and I expect to begin rolling it out to the community over the next 2 weeks." 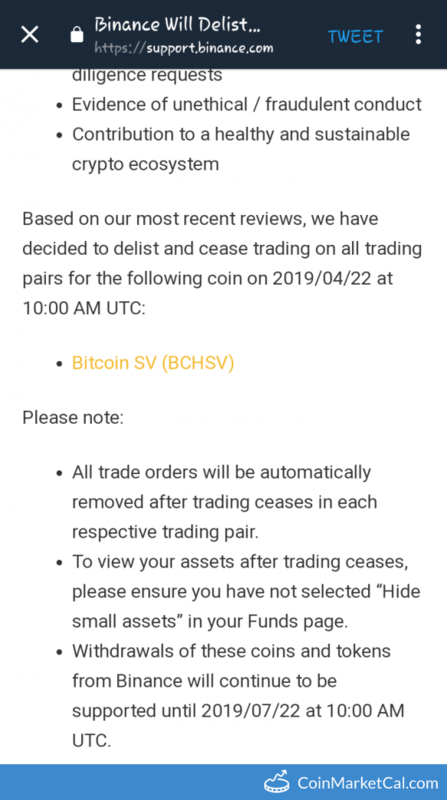 Binance will delist "Bitcoin SV" BCHSV on April 22, 2019. 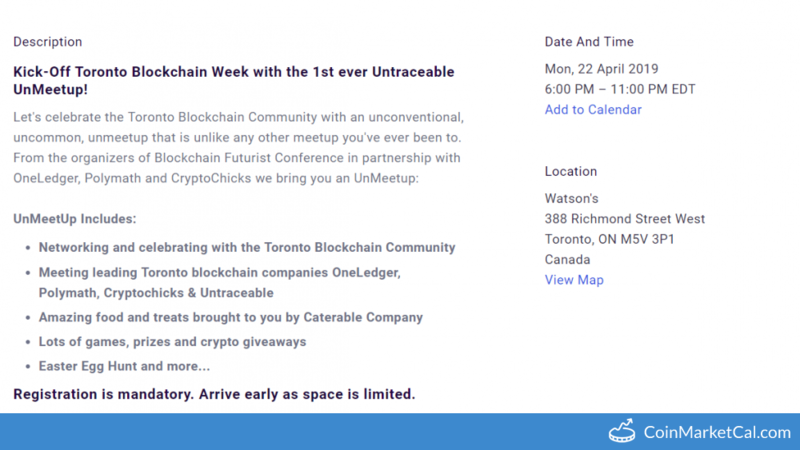 "April 22nd, the biggest partner of Phantasma until now will be revealed"
Celebrate the Toronto Blockchain Community with an unconventional, uncommon, unmeetup that is unlike any other meetup you've ever been to. 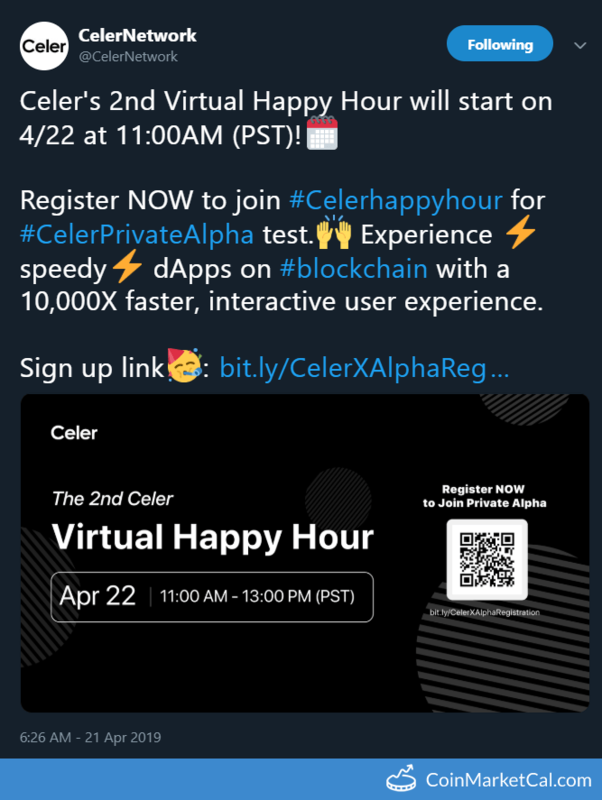 "Celer's 2nd Virtual Happy Hour will start on 4/22 at 11:00AM (PST)!" 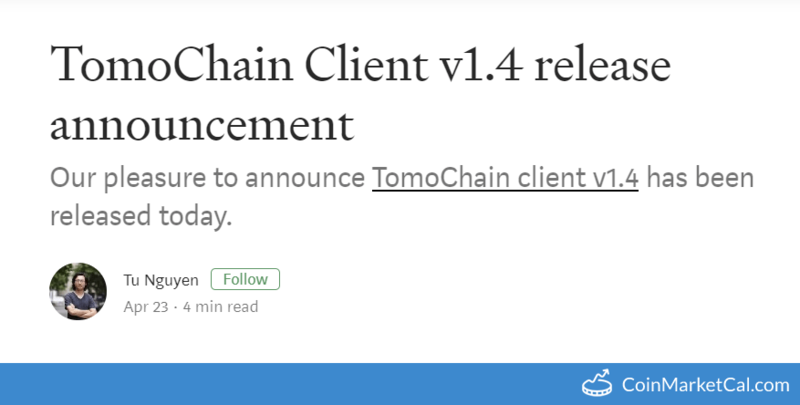 TCNX celebrates their listing on BitMart with a trading competition from April 22 - May 6.